Most Americans who are not recent immigrants have some Native American ancestry, whether they know it or not. If this heritage is not visible it is often overlooked or even concealed. Self-definition can be problematic and difficult for women who identify as mixed-race in the United States because the dichotomous and superficial nature of American society assumes that whatever a person looks like is all she is. All minorities are marginalized in the media and mainstream U.S. pop culture but mixed-race people may be the most invisible of all. Even when a mixed-race person does achieve notoriety they are usually referred to as the most visibly apparent aspect of themselves–like Barack Obama is the first black President: Obama is half Kenyan and half white (English and German). Because light skin, hair, and eyes tend to be recessive and darker features tend to be dominant, this most likely accounts for the assumption that someone who “looks black” is only black in American culture. Many mixed-race celebrities have risen to fame in the U.S. but often their mixed racial or ethnic heritage is unknown. A victory for mixed-race Americans came in 2000, when, for the first time, people were allowed to “check more than one box” to describe their race on the national census. Chairman of the Census Advisory Committee of Professional Associations, David Swanson states, “There is no set definition as to what race and ethnicity is. There’s social categories, social constructs, self-identification, maybe some voting-rights acts, but there’s no hard and set definition as to race and ethnicity.” This is clearest for people of mixed heritage. Often if a woman is mixed white and “colored,” the non-white ethnicities in her background are seen to taint the “purity” of her white blood, and commonly her white heritage is denied her. Denying women their white European heritage harkens back to the racism of the “one drop rule,” but because of their appearance many women with mixed white and “colored” heritage are not afforded the privileges of whiteness. “Though there exist stereotypes of people of all races and cultures, negative stereotypes are often attributed to people of colour.” For this reason, and others, passing is a difficult and emotionally charged idea for many mixed-race people, especially if others in one’s family, such as siblings, are not able to “pass” for white. Because of their similar experiences with racism, many mixed-race women who participate in social movements and strategic nonviolence do so within the context of groups aimed at women of color in general. Few organizations exist to specifically address mixed-race women, which may be another explanation for their likely participation in women of color groups. 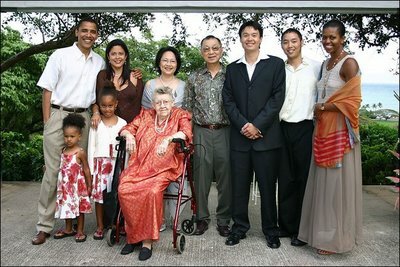 Some of the organizations for mixed-race people were started by interracial couples who have mixed-race children, and later organizations were founded by mixed-race adults. Few movements are so forward thinking and proactive, and because they also address transracial adoption, there seems to be little homophobia in the burgeoning mixed-race movement. 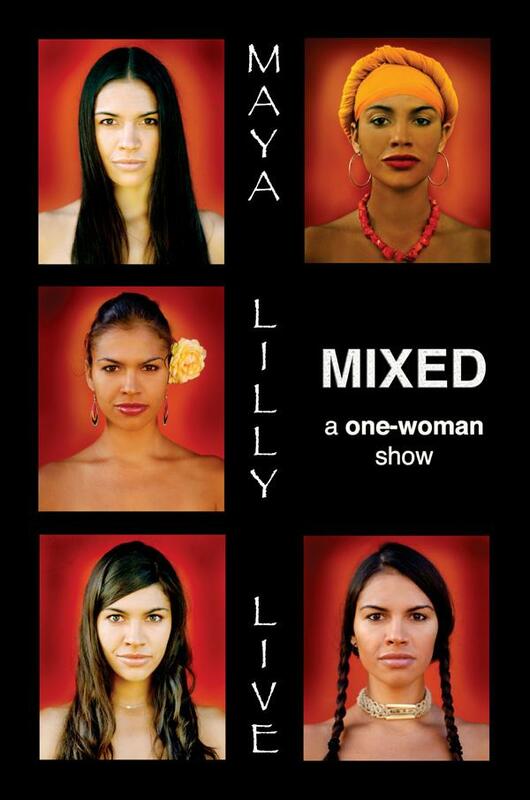 Many organizations for mixed people that exist cross national in addition to racial boundaries. Since 2004, June 12 has marked Loving Day around the world, the celebration of multiracial people and couples, commemorating the end to anti-miscegenation laws in the United States. The first organization to address the needs of mixed-race people in America began in 1978, iPride, or Interracial Intercultural Pride. In 1988 the Association of MultiEthnic Americans (AMEA) was established and remains the most visible and active mixed-race advocacy organization in the U.S. today. Project Race was founded in 1991, Mavin began in 1998, Blended People America (BPA) was founded in 2007 and My Gene Mix (MGmix) and Swirl, Inc. started in 2008. MixedChild, Mixed Folks, the Mixed Heritage Center, and the Mixed Network are all collaborative sites of resources for mixed-race people. The Topaz Club, established in 2004, is another organization specifically dedicated to mixed women, more specifically women with African heritage. Despite the relative lack of organizations dedicated to mixed-race women, there is no shortage of heroines for mixed women to identify with. Unfortunately many mixed-race celebrities, politicians, and athletes are only identified as mixed within the blogosphere and not in mainstream media. In addition to the mixed Native American and white women named yesterday, some notable mixed-race women include Linda Chavez, a mixed Hispanic/white politician and labor organizer; Marie Laveau and her daughter Marie Laveau II, both black and white creole Voodoo priestesses; anarchist and socialist activist Lucy Parsons of African, Native American, and Mexican heritage who married a white former Confederate soldier; Frida Kahlo, renowned Mexican and Hungarian artist; Japanese and white television journalist Ann Curry; painter Pashyanti Carole Hand, of African-American, Native American and white heritage; Miss America 2003, Erika Harold of Greek, German, Welsh, Russian, Native American and African-American ancestry; model, actress and AIDS awareness supporter Karin Taylor of Brazilian, Jamaican and Chinese heritage; black and Japanese model and businesswoman Kimora Lee Simmons; Dr. Maria P.P. Root, a clinical psychologist who specializes in mixed-race issues and created the Bill of Rights for People of Mixed Heritage; Mildred Loving, the black and Native American plaintiff in the landmark Supreme Court ruling that allowed interracial marriages; Queen Noor of Jordan who is Arab and white; Alice Walker’s daughter, bisexual black and Jewish feminist author Rebecca Walker, founder of the Third Wave Foundation; and María de la Soledad Teresa O’Brien, a television journalist of Afro-Cuban and white heritage who uses her position to showcase stories that would otherwise go untold in the mainstream media due to bigotry. In 2010 California elected the first female, first African-American, and first Asian-American Attorney General in it’s history, and the first Indian-American Attorney General in the United States, when marriage equality supporter Kamala Harris won by more than 55,000 votes. There are also many famous mixed-race actresses, singers, and athletes in the U.S. including Cameron Diaz, Halle Berry, Jennifer Tilly, Jessica Alba, Raquel Welch, Rosario Dawson, Vanessa Hudgens, Alicia Keys, Foxy Brown, Mariah Carey, Martha Redbone, Norah Jones, Alexandra Stevenson, Jamila Wideman and Tasha Schwikert. These women, in embracing and naming their own racial and ethnic heritages, are making a political statement and becoming activists for equality. As non-famous mixed-race women stand up too, they will pave the way for more acceptance in America, and less racism. Women and men are always more than one portion of their identity, and race is no different. For women who have mixed heritage each of their racial and ethnic identities is as different and as integrated into their whole being as their sexual orientation, religion, age, class, and ability. This entry was posted on Sunday, March 6th, 2011 at 15:27	and tagged with Activism, Arab American, Asian American, Black, Ethnicity, Latina, Mixed Race, Multiracial, Native American, White, Women's and posted in Race/Ethnicity and Activism. You can follow any responses to this entry through the RSS 2.0 feed. as a so-called “Light-Skinned Black’ person. shades, colors, hues, tones or arrays”. It is Mixed-Race that “comes in ALL shades”. perhaps, even sharing) the following information . is actually No Such Thing As a “Light Skinned Black” person. regarding their full ancestral heritage and lineage. CONTINUALLY Mixed-Race THROUGHOUT multiple generations. (and to have their full-lineage acknowledged within that term).